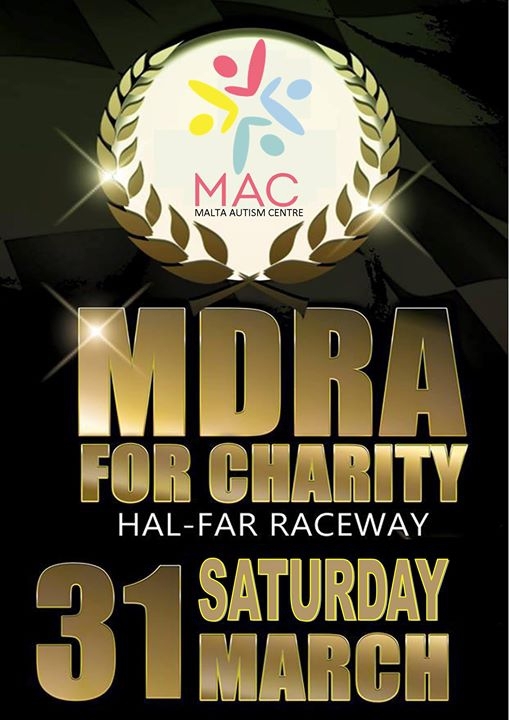 On behalf of the Malta Autism Centre (MAC), we the undersigned confirm that Mr. Mario Mifsud (a/k DJ Banana) of Smash Communications will be organising the MDRA for Charity 2018 in aid of The Malta Autism Centre at the MDRA ,Hal Far raceway. This event will be organised in collaboration with MDRA (the Malta Drag Racing Association),Land Rover Club Malta, MDA (Malta Drifting Association) and MMF (Malta Motorsport Federation) and will be held on Saturday 31st March at the MDRA Hal Far Race Way. All proceeds from this event will go to The Malta Autism Centre which is a non-profit organisation (VO/0520) which provides specialist services for people with autism. Autism spectrum disorder is a life-long neurodevelopmental disorder which affects 1 in 100 births. This Centre aims to help individuals who fall within the autism spectrum through the different stages of their lives from birth to old age. We recommend and thank all those who can assist in many ways to help raise funds. With your help we will be able to give specialised intervention to children and adults with autism by addressing the difficulties that this condition brings with it such as, difficulty in communication, social understanding and interaction, lack of flexibility in thoughts and behaviour, and a difficulty to process information through their senses. The ultimate aim of MAC is to help individuals with autism to become independent and socially included in society, and to improve their quality of life. A passion for car racing will be transformed into a noble event, which will eventually help us to address a very important vacuum in Malta by supporting people with autism and their families, and increasing autism awareness in the Maltese society. We thank you on behalf of those children and adults who will benefit from your great generosity.